André is also an advisor on Cosmos: A Spacetime Odyssey with Neil deGrasse Tyson. (The original show starred my grandfather’s hero, Carl Sagan.) Both André and David were physics majors so they could’ve have chatted all things science. Fortunately both men are gentlemen; the glazed over expression on my face may have prompted a change in subject. We chatted about classical music. Again, André was leagues ahead on knowledge. Did you know the Impressionist painters were mirrored in the musical world with composers like Claude Debussy and Maurice Ravel? Other unexpected treasures also unfolded as the evening flowed. One young man with a “vintage” ‘70s jacket and his hot date hugged me. They said nice things about David’s and my old-fashioned (ballroom/swing) dancing. Honestly, I was surprised that someone their age would notice a couple from the dinosaur age. To top off the evening, Seth had thank you gifts for his crew. Kentucky Bourbon bottles were individually inscribed with the name of a crew member. 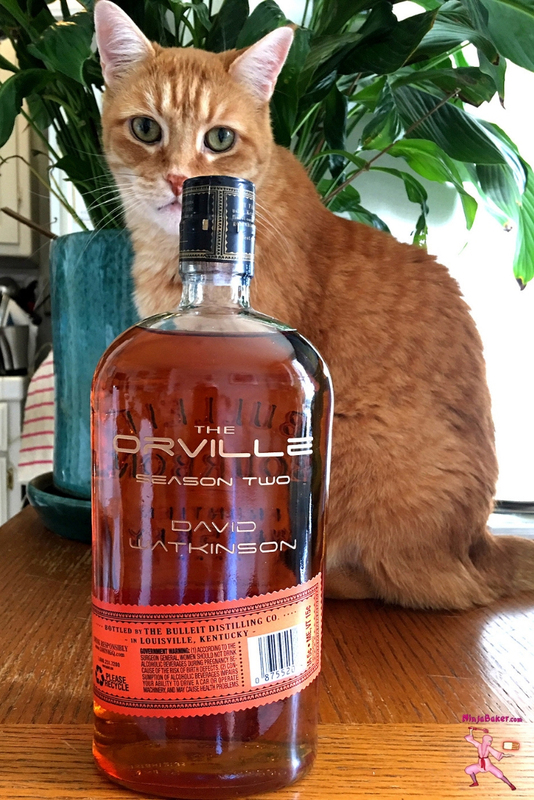 Neither David nor I are huge drinkers but we love alcohol infused sweets. 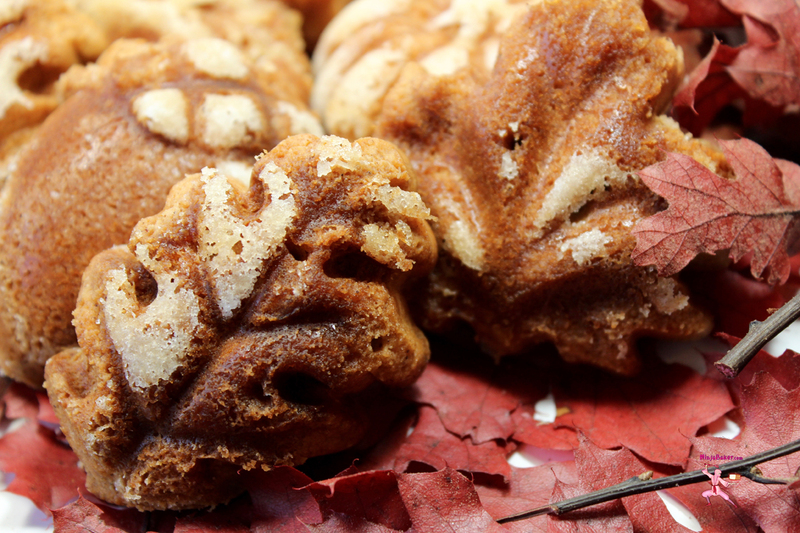 Sooo, I created bourbon rose and autumn leave cakelets. 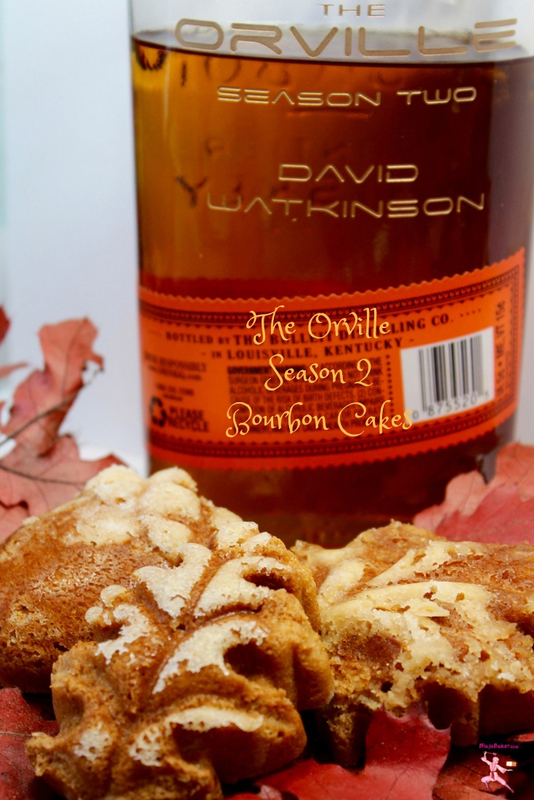 (The recipe will also make for one beautiful bourbon cake.) 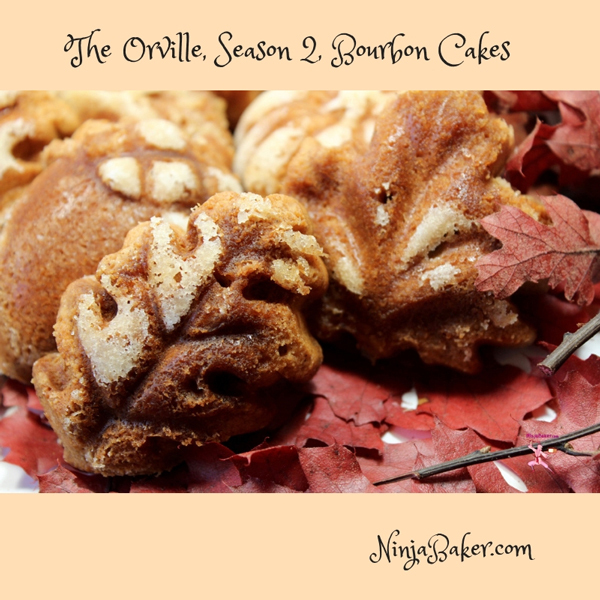 The Orville Season 2 Bourbon Cake is out of this world yummy! 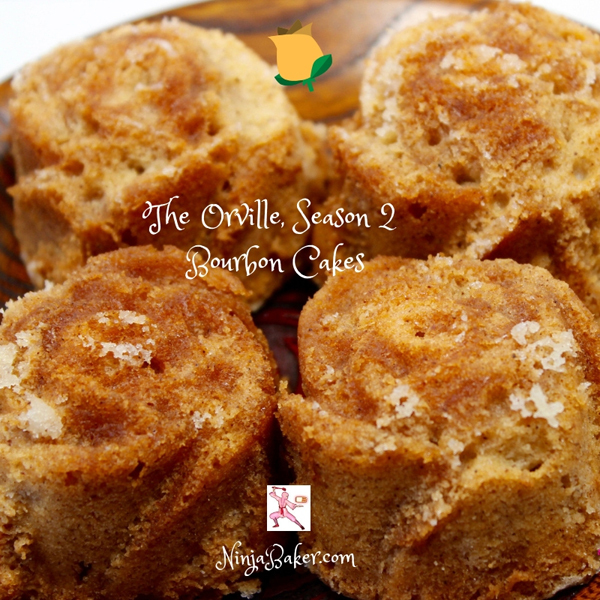 Fluffy cake with a kiss of spice follows a burst of bourbon. To enhance the Southern Kentucky Bourbon experience, you can always add roasted pecans. Note: This is a grownups only dessert. Wishing you unexpeccted out of this world treasures!